Who is this Jeff guy? As many of my friends know, I have a bit of a notorious reputation as a driver. I was an avid risk taker back in my younger days, and I tend to enjoy a spirited adventurous driving style now and then. This trip to Italy was my chance to experience European driving and some of the best and most beautiful roads in the entire world. When you grow up in Nebraska, where roads are straight and mostly flat, the mere possibility of driving in such incredible places is just mind boggling. 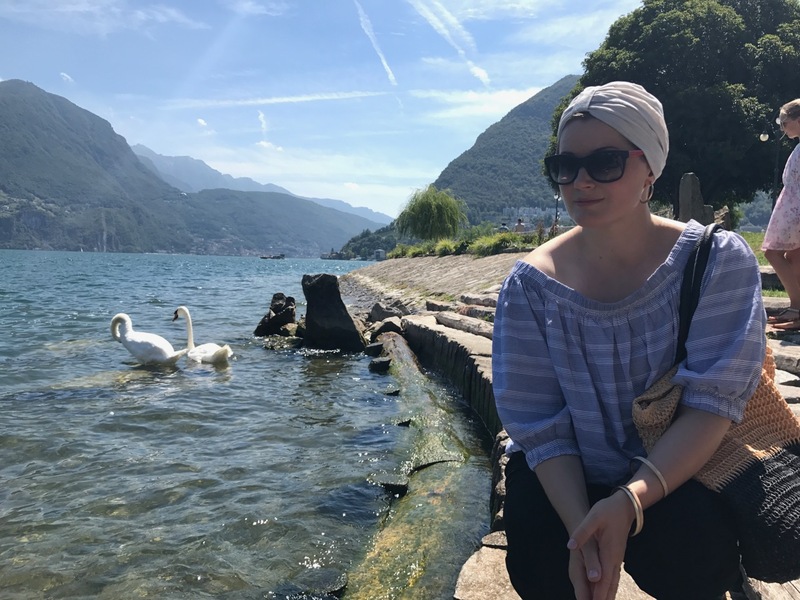 Rita wanted to travel to Lugano, Switzerland, just north of Milan, to see the places where Rainis (a famous Latvian poet) was exiled in the early part of the 20th century. It sounded cool to me, so off we went. I planned to parlay this journey with a trip through the Swiss Alps to one of the most gorgeous roads in the world, Susten Pass. Cool, right? So we packed up our things and got ready to leave Como, but before going we had to make an obligatory visit to the Como Cathedral. It was beautiful and majestic. I am always impressed with the incredible structures that people built nearly a thousand years ago. Then, we were on our way. The trip to Lugano was pretty uneventful. They didn’t even check passports at the border. The lake was gorgeous and we could see the mountains rising on all sides. We had to drive through a long tunnel right through one of the mountains to reach the city. I felt like I was in a James Bond movie or something. What did I do to deserve such beauty in my life? 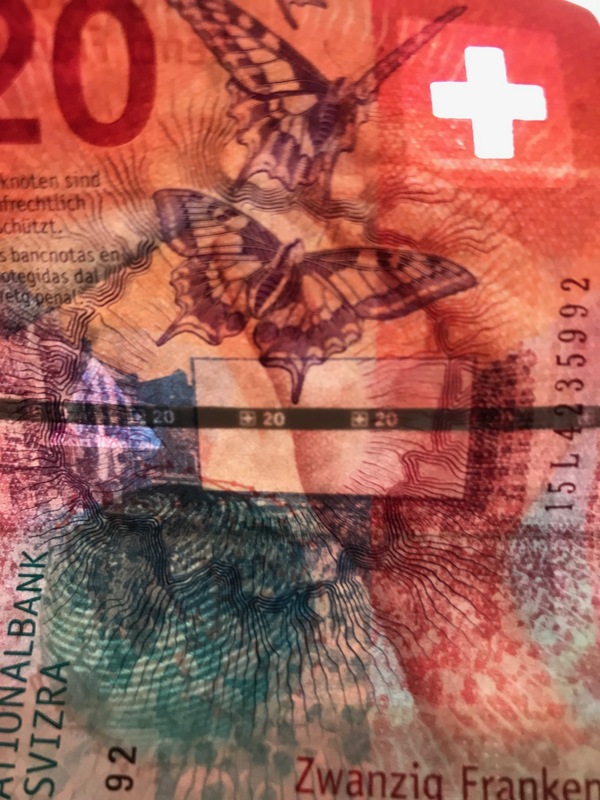 my change, we noticed that they gave us Swiss Francs. I had forgotten that Switzerland is not part of the EU and they do not use Euro. Cool. 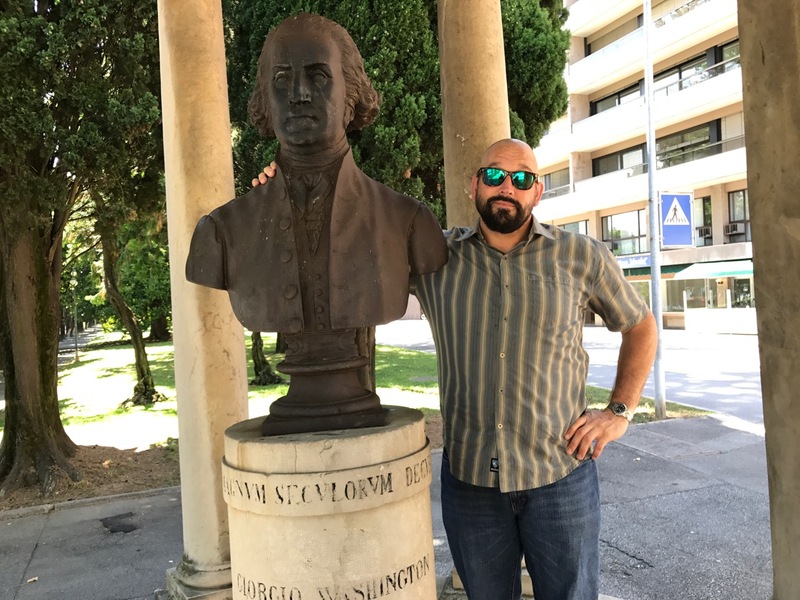 The heart of Lugano is right on the lake, and we walked the promenade starting at the statue of George Washington down to a fountain. This is an interesting historical side note. Every where I go in the world, there seems to be this incredible love for George Washington. Italy has streets and statues, and so do Switzerland and Latvia. Who knew? Probably everyone but me. We are also running into Marilyn Monroe everywhere we go from coffee shops to advertisements to postcards—she continues to be popular in this region of the world. After a lovely walk, a visit with some swans, dipping our feet in the lake, conversations with a Mexican woman and an English couple, we began our walk back to the Alfa Romeo. 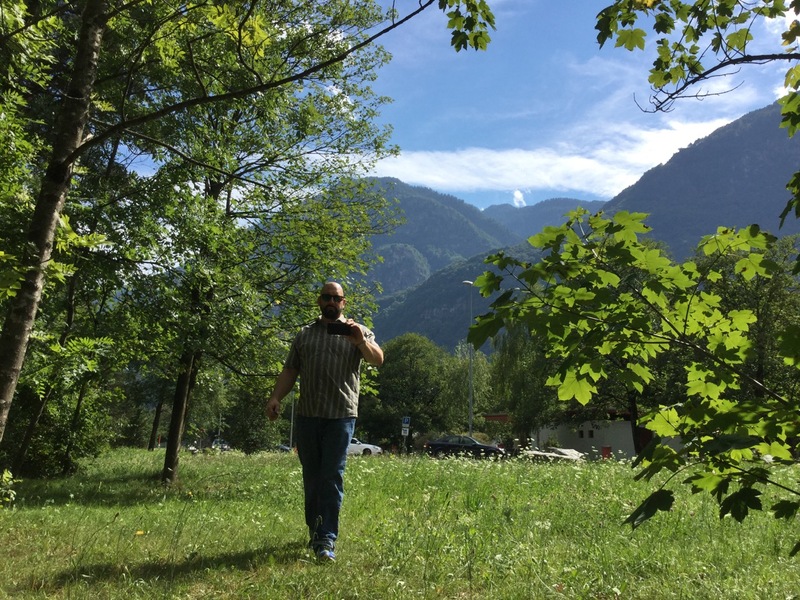 Time seems to expand here, and I don’t know if it’s geographical, metaphysical, mental or what, but I swear we walked across Lugano for a day or more, but it turned out to be less than two hours. Which was good, because I only put 2 Euro in the parking meter! 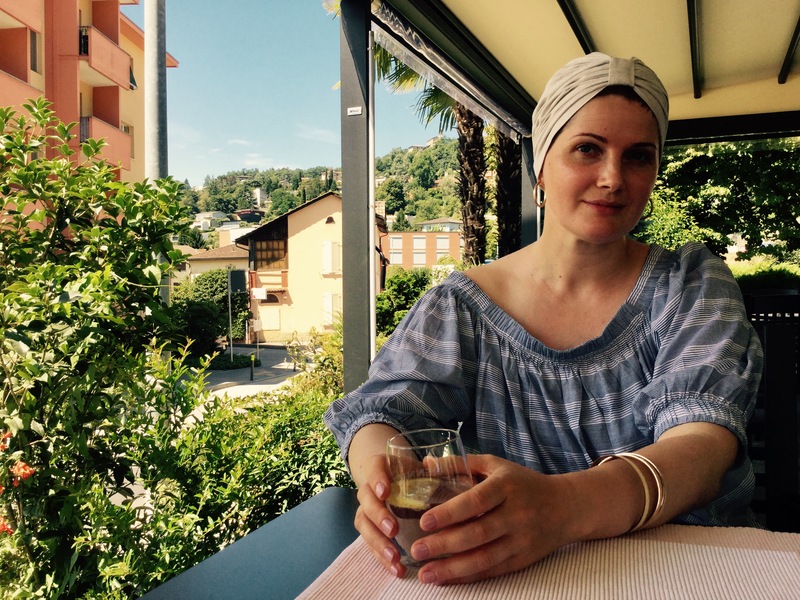 On the way back, Rita bought me a lovely Italian hat, and I was now ready to do some serious Swiss Alp driving! It was now about 3 p.m. local time. I had to have the car back in Milan by 8 p.m. The mountain pass was just over an hour away. I figured that this would give us just enough time. Maybe we wouldn’t make the entire drive, but at least I would be able to drive on some winding mountain roads in an Italian sports car and live my dream. Simple. Wonderful. Amazing. So we hit the highway and sped through the wonderful tunnels. We were making good time, but then I saw a symbol light up on the dashboard—a yellow circular symbol with some strange ridges. I wasn’t familiar with it, so I had Rita look through the manual, but she couldn’t find anything either. After my nerves were finally reaching their breaking point, I found a rest stop and checked for myself. 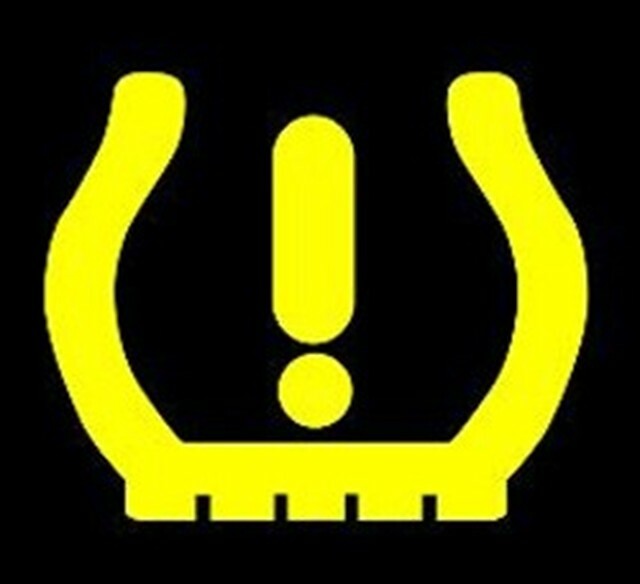 Tire pressure low. You’d think they could just have a picture of something that looks like a tire? Sure enough, the front right tire was very low. Dangerously low. I’m really glad I stopped. I found the donut and the jack in good order (yeah, I said donut) and did the deed that I have done so many times in my life. But there was no way I was going to enjoy a drive across a mountain pass on a donut. The top speed rating was 80 Kmh which is about 45 mph. Can you imagine crawling on a highway at that speed? And we had lost a good forty minutes conducting the tire change, so I made the executive decision to just drive back to Milan hoping that the tire would hold. Oh lucky us! 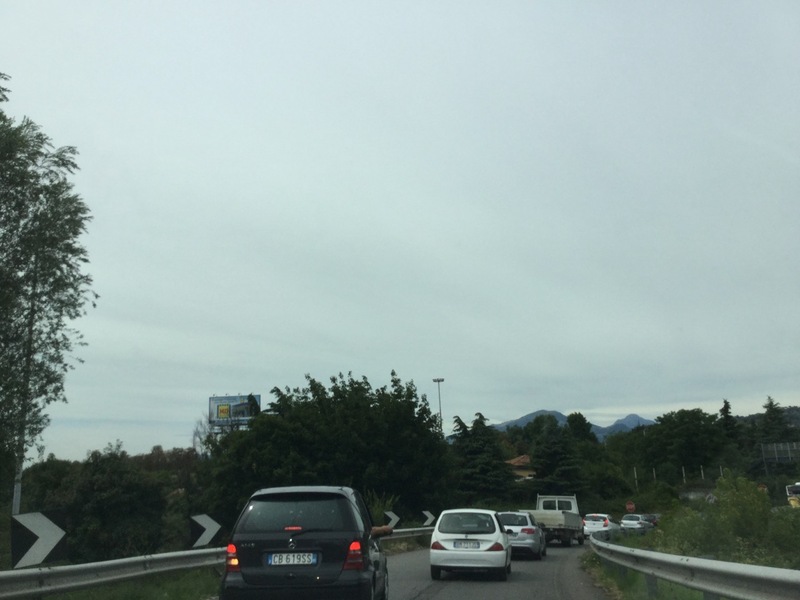 We hit Lugano at rush hour, and for some reason, Italian drivers do not know how to merge. Every single exit for 20 miles meant traffic was at a complete and total standstill. I watched my ETA on the TomTom go from 6:15 p.m. to 6:45, then 6:55 and so on. By the time we finally go through the tunnel and out of Lugano, the ETA was 7:15. I was going to be cutting it very close, and the stupid yellow light was still on! Now we were on the freeway which meant more tolls. 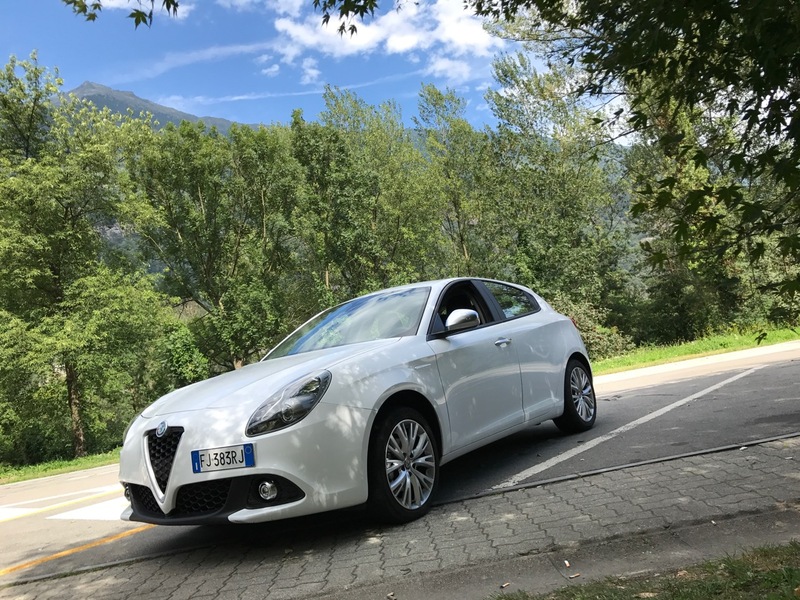 Here I was driving on this little donut, traveling from Switzerland to Italy, giving up on my dream to drive in the mountains, forced to pay toll after toll just to limp the car back to Milan. I was dreading the final leg of the journey which would mean driving through the heart of the city itself. After my brief stint of city driving in Como, I couldn’t imagine what Milan would be like. But I had my hat, and Rita was with me, so I knew everything would be okay. TOMTOM: Turn here, now here, bear left, stay right, look that way, avoid this! Whoa… is this two lanes? I don’t know! Is that a stop light? Was that a police car? Can motorcycles really just drive down the middle of the street like that? Just keep driving, just keep driving, just keep driving! Well, after finding a gas station run by some angry Italians who clearly didn’t want our business at all, we made our way to the rental place in the center of Milan (I paid extra to drop it off there instead of driving all the way back to the airport). A nice red-headed woman was waiting for us as I parked outside. She made me fill out an accident report for the tire. I told here there was no accident, but that didn’t matter. She didn’t seem to feel sorry for me for missing my chance at my dream drive. All business. I was confident after leaving that even though she threatened to charge me something for whatever damage had been done to the tire, that I would be protected by my trusty AMEX card! WRONG! 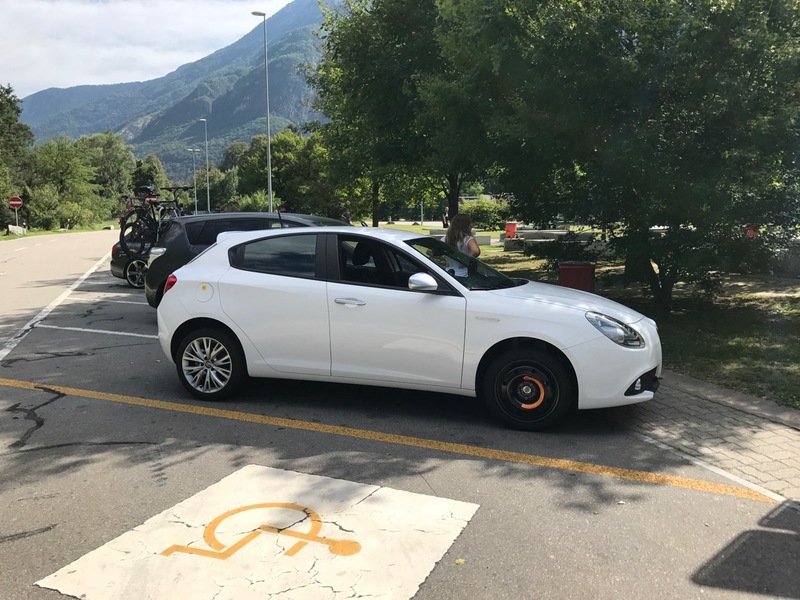 After arriving at our flat (more about this in the next installment) I found out that AMEX had been trying to contact me to check for fraud on this car rental in Italy. I told them it wasn’t fraud, but I wondered about my insurance coverage. This is when I was transferred to the insurance division and told, politely, that six countries are not covered by their insurance. Guess which country is on the list! Go on… just try to guess. You’ll never guess! That’s right… ITALY. Italy is not covered. And when I checked the website, I literally had to go through three layers of agreements to find that tiny print. What the heck? So now I am in limbo waiting to see how much they charge me for the tire. Perhaps they will make me replace the whole wheel? Maybe the whole car? I don’t know. At this point, anything could happen. I have heard car rental companies can be pretty terrible when they get serious. Other than that… other than the little mishap with the Alfa, the drive was pretty awful. But other than that, the day again seemed to last for a century, and so much life was lived and so much joy was had that it’s hard to let a little thing like a flat tire bring you down. Side note: Right now, I am typing this in the dark, and there are mosquitos dive bombing me constantly. I don’t know how they found me in this attic flat in Milan, Italy, but my goodness. I have resorted to eating raw garlic and rubbing it on me to try to evade their vampiric bites. I haven’t seen such aggressive mosquitos in awhile. Why do they exist?